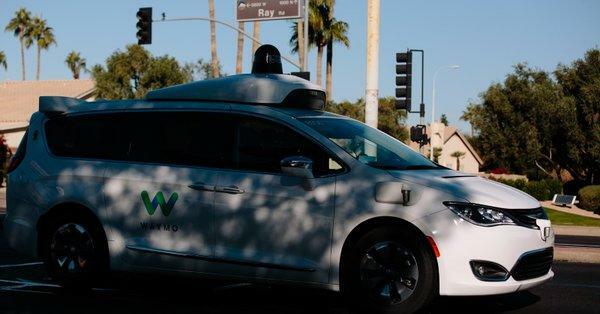 More than 20 driverless vehicles in Arizona have reportedly been vandalized over the last two years, according to the New York Times, as enraged locals in the Waymo test market of Chandler have begun to revolt. Tensions began to flare last year after an Arizona pedestrian was killed by a self-drivng Uber car, with residents slashing tires, throwing rocks at, pulling guns on, and trying to wreck the autonomous cars. “There are other places they can test,” said 37-year-old Erik O’Polka, who was issued a warning in november after multiple reports that his Jeep Wrangler had tried to run Waymo vans off the road. In one instance, O'Pokla reportedly drove head-on toward one of the self-driving vehicles, forcing it to abruptly stop. O'Polka's wife Elizabeth, 35, admitted in an interfview that Erik "finds it entertaining to brake hard" in front of the driverless vehicles, and that she herself "may have forced them to pull over" for a good yelling-at. The couple says their hatred of self-driving cars began when their 10-year-old son was almost hit by a self-driving vehicle while playing in a nearby cul-de-sac. "They said they need real-world examples, but I don’t want to be their real-world mistake," said Polka. "They didn’t ask us if we wanted to be part of their beta test," added his wife. According to New York City University media theorist Douglas Rushkoff, "People are lashing out justifiably," as he compared driverless cars to "robotic incarnations of scabs," workers who cross picket lines to take the jobs of striking workers. "There’s a growing sense that the giant corporations honing driverless technologies do not have our best interests at heart," said Rushkoff. "Just think about the humans inside these vehicles, who are essentially training the artificial intelligence that will replace them." 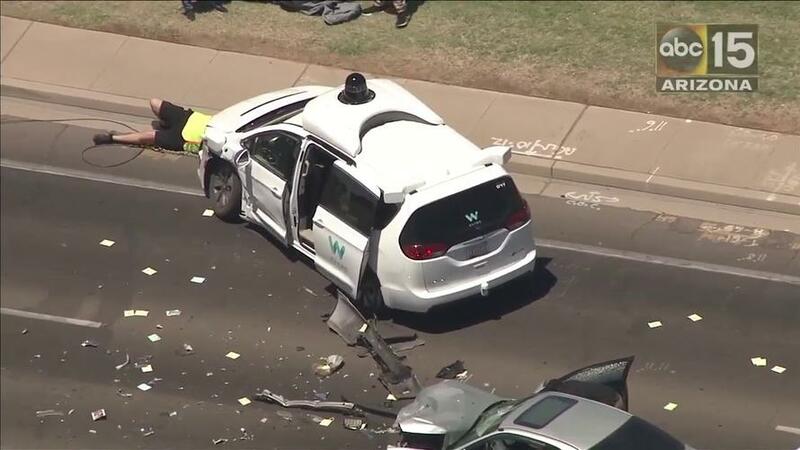 Some of the attacks have been difficult for law enforcement to pursue, as Waymo emergency drivers told the Chandler police that the company prefers not to pursue the prosecution of the assailants. In several cases, the police say Waymo was unwilling to provide video of the attacks - and were told that they would need a warrant in at least one case. Officer William Johnson of the Chandler Police Department described in a June report how the driver of a Chrysler PT Cruiser wove between lanes of traffic while taunting a Waymo van. A manager at Waymo showed video images of the incident to Officer Johnson but did not allow the police to keep them for a more thorough investigation. According to Officer Johnson’s report, the manager said that the company did not want to pursue the matter, emphasizing that Waymo was worried about disruptions of its testing in Chandler. Waymo said in a statment that the attacks only involved a tiny fraction of the more than 25,000 miles the company's vans travel every day in Arizona. "Safety is the core of everything we do, which means that keeping our drivers, our riders, and the public safe is our top priority," said Waymo spokeswoman Alexis Georgeson. "Over the past two years, we've found Arizonans to be welcoming and excited by the potential of this technology to make our roads safer." She added that the company disputes claims that they are trying to avoid bad publicity by avoiding criminal prosecution of vandals. "We report incidents we deem to pose a danger and we have provided photos and videos to local law enforcement when reporting these acts of vandalism or assault," said Georgeson. "We support our drivers and engage in cases where an act of vandalism has been perpetrated against us." According to Rob Antoniak, COO of Phoenix transit operator Vallet Metro, Arizona is still welcoming driverless cars with "open arms" despite the attacks on Waymo vehicles, tweeting in December: "Don't let individual criminals throwing rocks or slashing tires derail efforts to drive the future of transportation." One of them, Charles Pinkham, 37, was standing in the street in front of a Waymo vehicle in Chandler one evening in August when he was approached by the police. 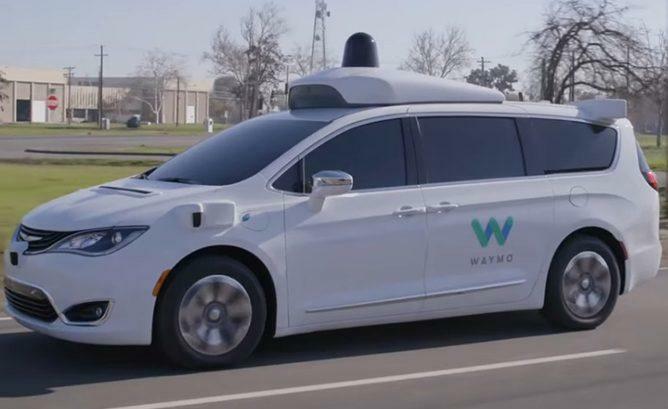 The Waymo employee inside the vehicle, Candice Dunson, declined to file charges, and Pinkham got a warning from the police.